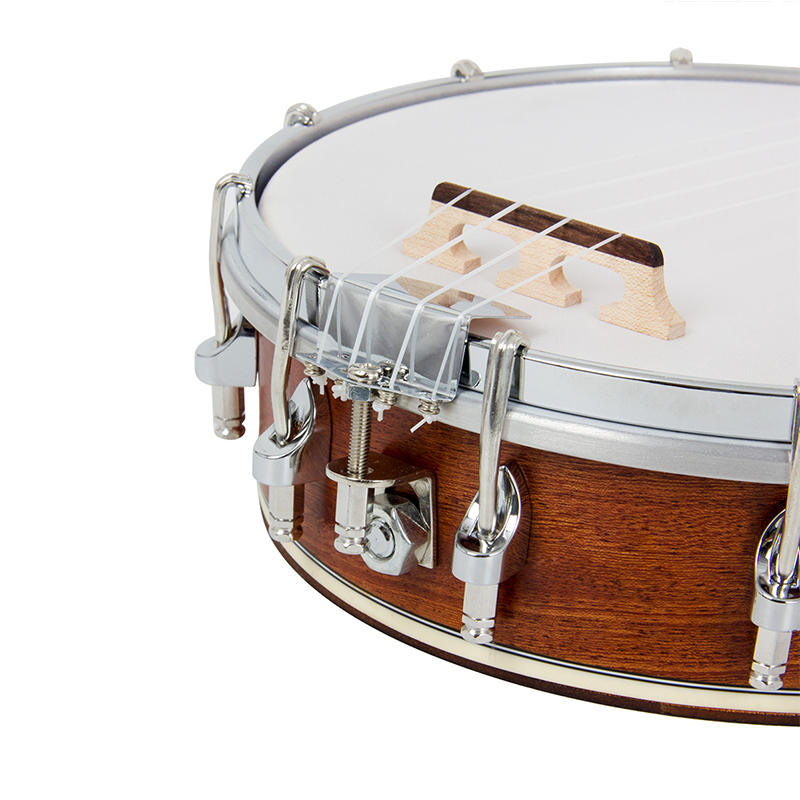 The Banjo ukulele is a four stringed instrument with a small banjo type body and a fretted concert size ukulele neck that was very popular in the \'20s & \'30s. 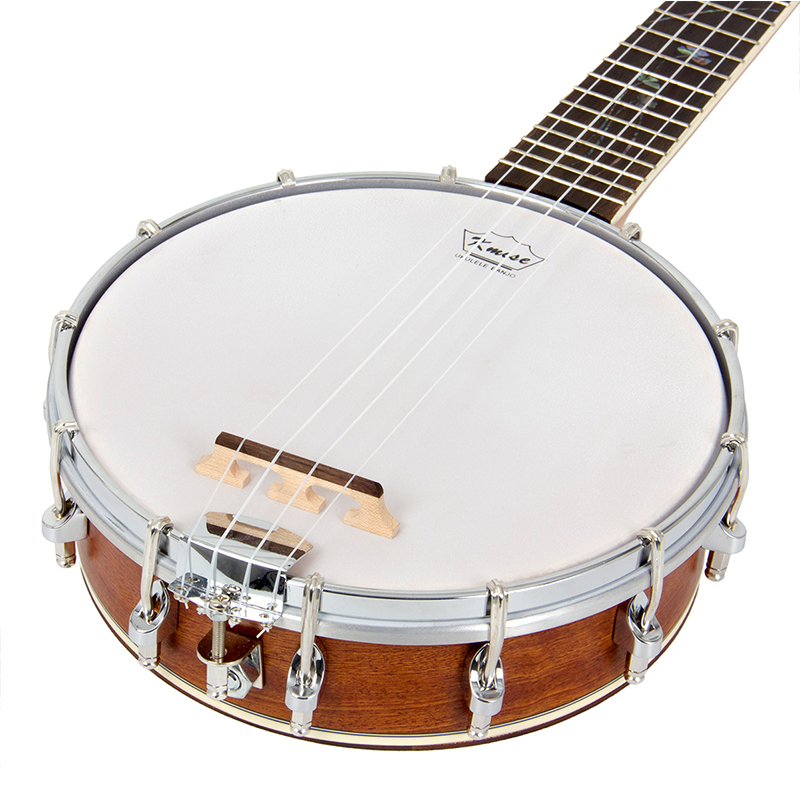 It features the distinctive sound of a banjo and the small scale tuning and playing style of a Ukulele. 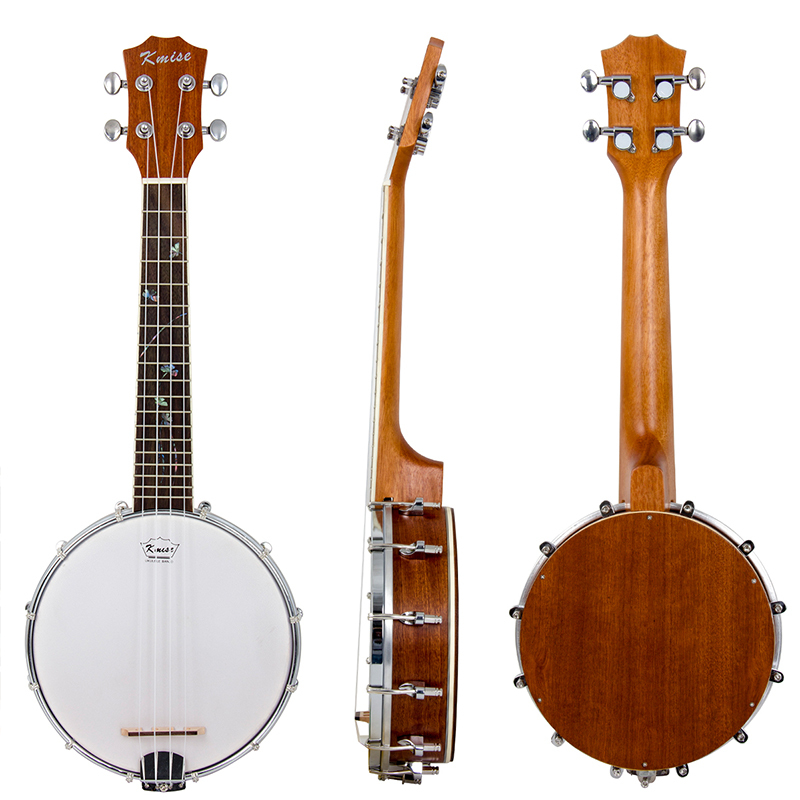 The instrument uses standard ukulele tuning of G-C-E-A. 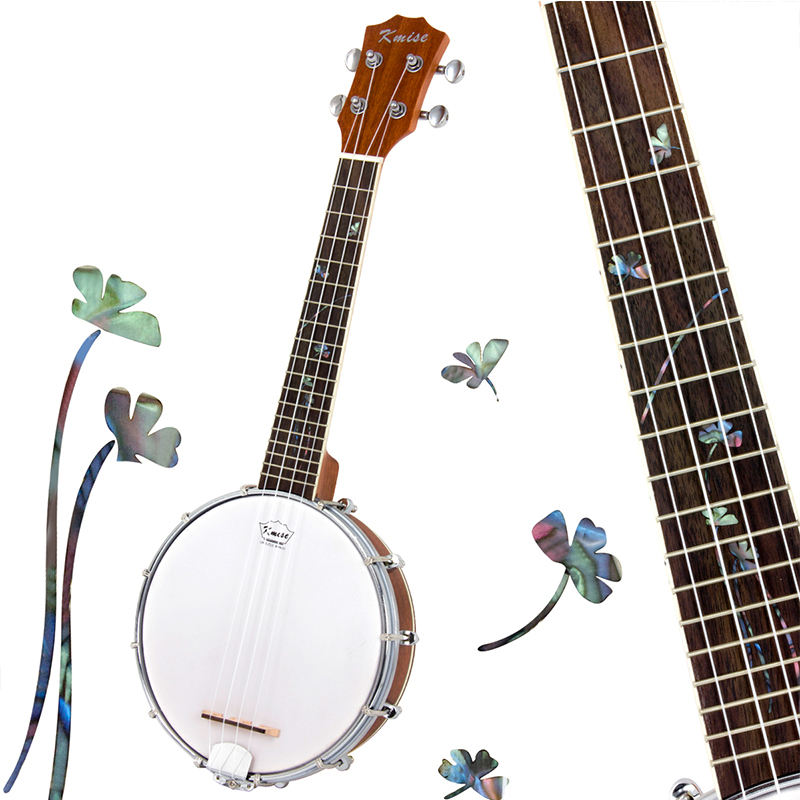 Frets--18pcs copper fretwire-exquisite material,resistance to abrasion and embroider,good sound. 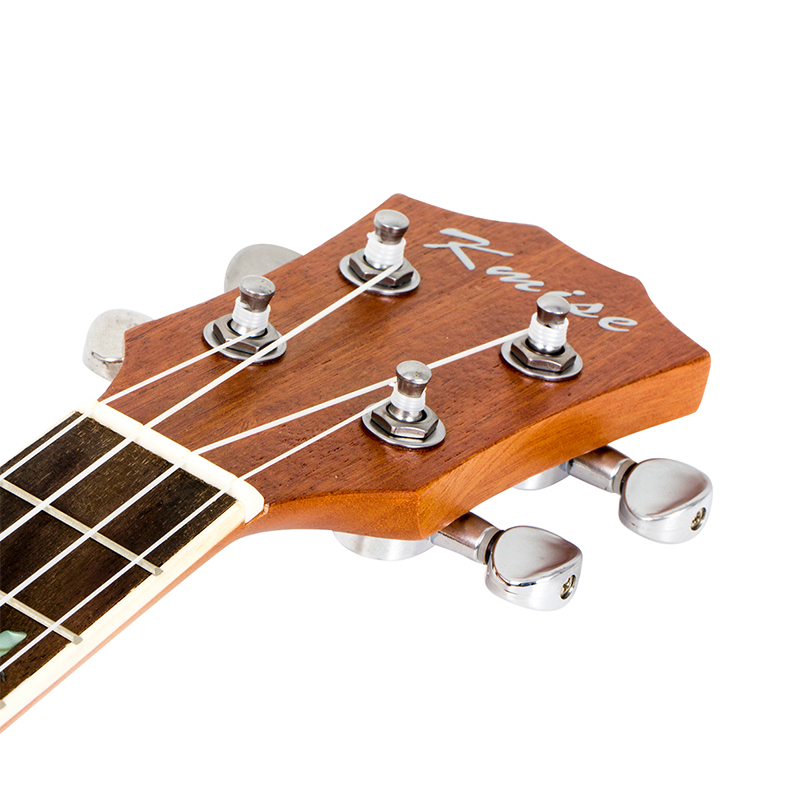 Tuners--Chrome Geared Closed Tuning Pegs can make sure strings and tones stable. 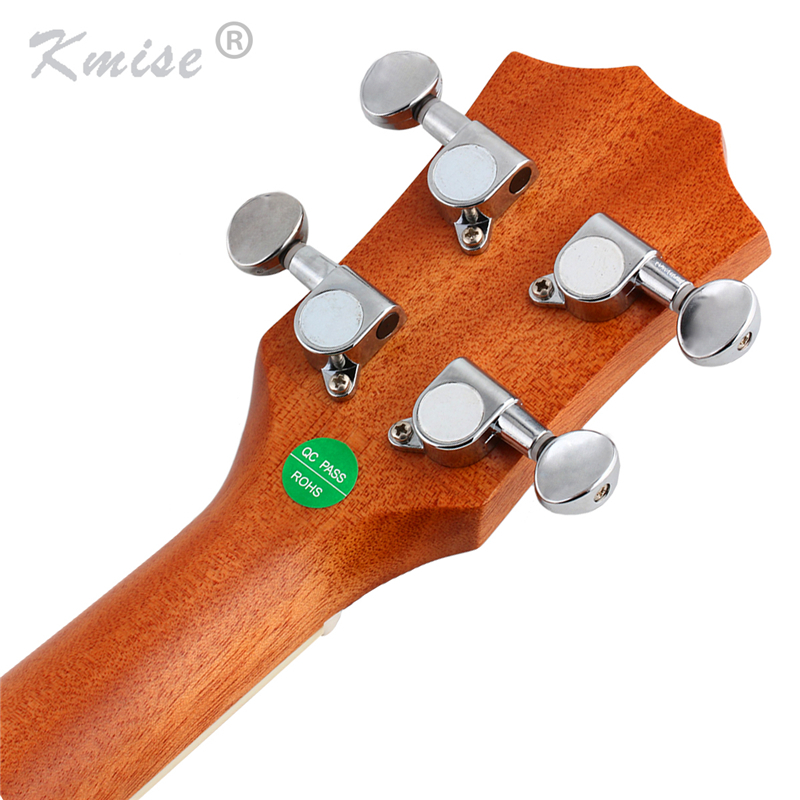 Fretboard--Rosewood fingerboard-hard material,corrosion resistance,comfortable touch. 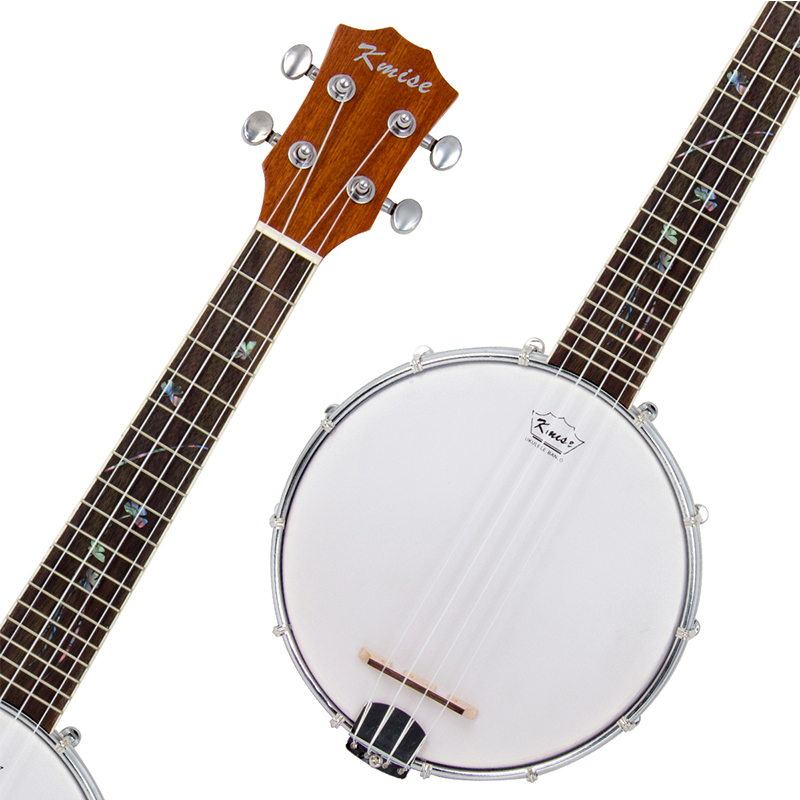 Strings--Pre-strung with Premium Aquila String Made In Italy,guarantee of quality. 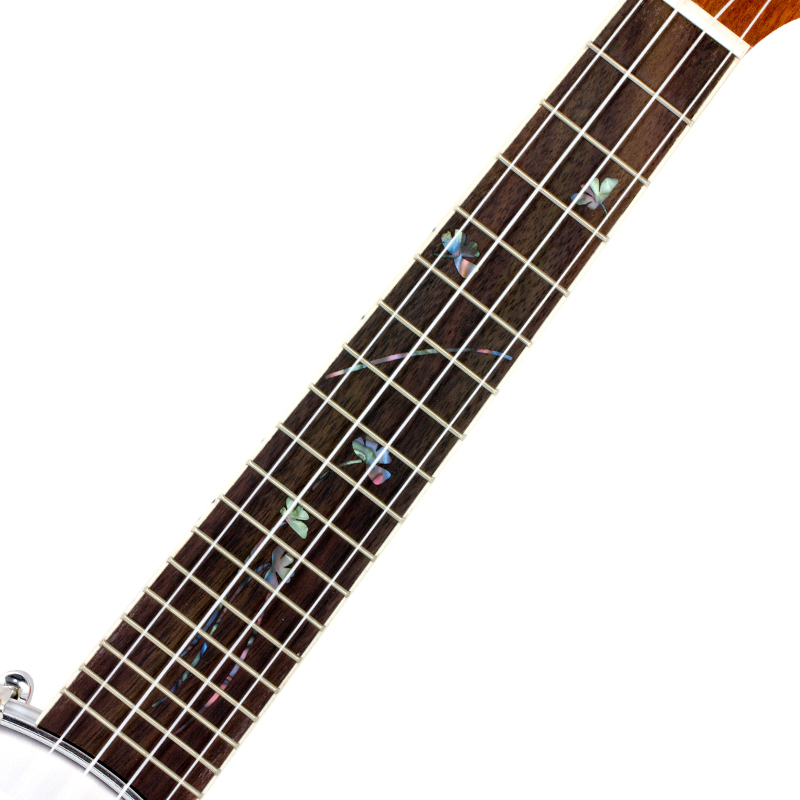 Special Design Dots:it is unique that with flower shape abalone dots.very beautiful.